EA showed off some Battlefront II footage at today, and it looks awesome. According to EA boss Andrew Wilson, the developers considered all “constructive” criticism players had for the first game. They also claim BFII will have three times more content than the first game. As some of you already know, unlike the first game, Battlefront II will have a single-player campaign penned by Walt Williams (Spec Ops: The Line) and Mitch Dyer (ex-IGN reporter.) 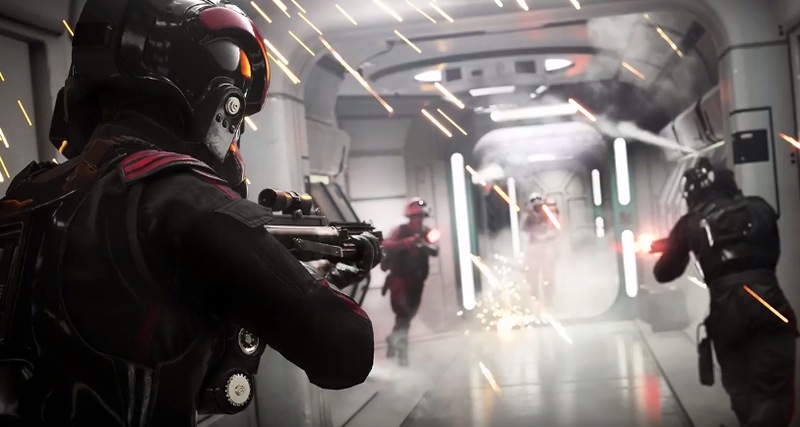 Set between Return of the Jedi and The Force Awakens, Battlefront II will let you play as a special forces Imperial soldier, Iden Versio, who wants to get revenge on the Rebel Alliance. Fans will also be able to walk in the shoes of Luke Skywalker, Kylo Ren, and other beloved characters across all eras. On the multiplayer side, EA promises more vehicles, expanded customization (even for heroes), more abilities, better power-ups, classes, more variety of troopers, among other things. They also hyped up the gunplay, which has apparently been revamped to feel better than before. All post launch heroes, maps and vehicles will be free (including Finn and Captain Phasma), and there will be split-screen co-op. In general, EA seems to be emphasizing that BFII will fix the shortcomings of the first game, which was criticized for having a season pass that fractured the playerbase, and for not including any single-player. Fans will have the chance to get hands-on with Star Wars Battlefront II multiplayer for the first time at EA PLAY 2017. Here, they will be able to experience the Assault on Theed demo, which features the updated signature multiplayer mode, Galactic Assault, on the Naboo: Theed map set in the prequel trilogy era. Players will get a sample of the new class system, ground and air vehicles like the AAT-1 and Naboo N-1 starfighter, a larger focus on team-play and heroes from all eras including Boba Fett, Darth Maul, Rey and Han Solo. EA PLAY 2017 will take place at The Hollywood Palladium in Hollywood, California, is free for all attendees who register for a ticket, and is open starting today, June 10th through Monday, June 12th. Register for a ticket here. This fall, players will be able to jump into a galaxy far, far away with the Star Wars Battlefront II multiplayer beta on PlayStation 4, Xbox One and Origin for PC. All fans who pre-order any edition of the game will get into the beta early.